Why Build New?? This home has it all done. 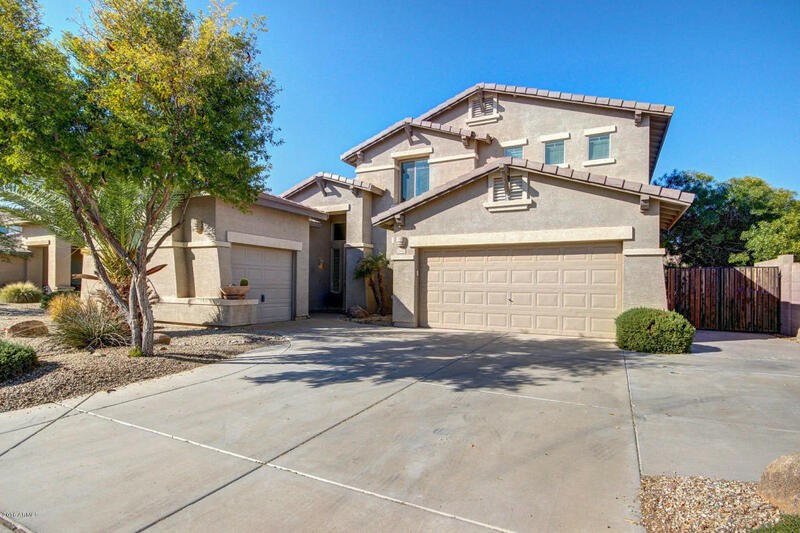 Beautiful Chandler Community- Great home for large family and entertaining. Super high ceilings in living area really make this home feel grand. Three large bedrooms upstairs with loft for flex area. Huge Master is down stairs overlooking HEATED POOL! Extended patio goes the length of home. Lovely open floor plan. Great room living and dining- Kitchen is huge and open, with lots of cabs/island and eat in area looking at backyard. Bonus car split garage. Super nice EZ care yard. Lots of windows make this home open and bright. Built in cab's in garage for storage. Area is beautiful and close to shopping fine eateries and freeways. Excellent school district for growing family! *** Go see today*** Stellar upscale neighborhood!